Way to go, President Obama!!! I believe this might be one of the very reasons Obama became the president of our great country. To bring about the means for EVERY person in America to have a fair chance at the greatness that this country stands for. Obama announced “My Brother’s Keeper”…. (CNN) – In a moving and heartfelt message Thursday, President Barack Obama challenged young minority men to make good choices. “Part of our message in this initiative is ‘no excuses’. Government and private sector and philanthropy and all the faith communities, we have the responsibility to provide you the tools you need,” he said at a White House event. 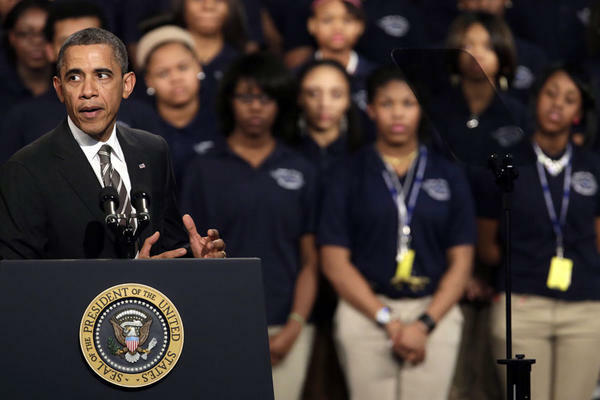 Read all about Obama’s “My Brother’s Keeper” Initiative here…. This entry was posted in Uncategorized on February 28, 2014 by The Woman Hood.